Jaci's Tree Lodge opened in December 2002 - with Eight "Tree Houses", each encompassing a giant Tambotie or Leadwood Tree. Each “Tree House” is constructed amongst the Riverine forest on stilts, up to 6 meters above the ground. In these spacious “Tree Houses” – built utilizing a combination of rosewood, thatch and stacking doors - the forest surrounds are invited in, to compliment your stay with us. An open plan, en-suite bathroom with an enormous stone bath and outdoor “Jungle Shower” allow you to enjoy your forest surrounds. Relax, on the deck in front of your room, in the main lodge or wander to the forest pool to cool off. Raised wooden walkways, suspended in the forest canopy lining the banks of the Marico River, will connect with the extraordinary Main Lodge and its generous facilities. Permit valid for a minimum of 3 years, or a resident’s visa or valid SADC country drivers licenses. Twice daily game drives, including sunset / sunrise stop & night drive with astronomy. Afternoon Tea, Dinner & Brunch, local & specialised teas as well as fabulous filter coffee. All house drinks, which include a special selection of fine South African wines (Red, White & Sparkling), local beers, non-alcoholic beverages as well as house spirits. Fireside, starlight dining as often as possible. Transfers to & from the Eastern Airstrip when flying with FedAir / Unique Air / FlexeFlyer / private charter. Due to its structure, on wooden stilts connected by raised walkways, Jaci’s Tree Lodge isn’t suitable for small children. Kids 13 years and older are welcome. 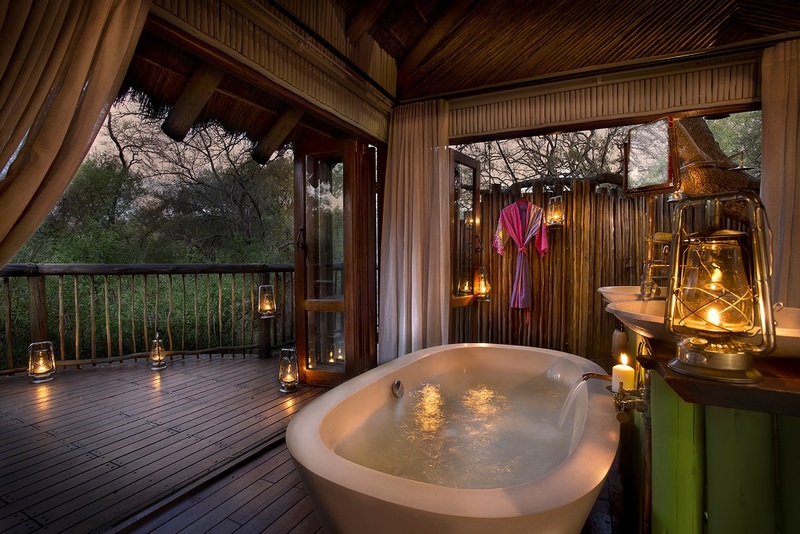 Each of the eight double-occupancy treehouse-style suites features a private outdoor shower and indoor bath, and suspended private viewing decks. Each suite is decorated with our trademark African vibrancy, complemented by modern elements and with a focus on privacy. The custom-built stilted structures are connected by suspended walkways. Enjoy the cosy fireplace, fully stocked bar and lounge, as well as our indoor and outdoor dining areas, and browse through our African curio shop. Accompanied by an expert walking-trails guide, guests can explore parts of Madikwe Game Reserve on foot. You may not spot many of the larger animal species (although you will almost certainly see their spoor), but you will learn so much more about the relationship between flora and fauna in the African bush, making it an unforgettable experience for all your senses. The focus of a walking safari is the things you may miss on a game drive: the smaller animals, insects and birds, surrounding trees and grasses, with a spotlight on animal spoor and dung, small flowers and plants, bird calls and the aromatic smells of herbs and shrubs. With the breathtaking vistas of Madikwe Game Reserve as the backdrop and a diverse variety of wildlife as the subject matter, Jaci’s Lodges’ complete photographic offering caters to all guests, whether amateurs or professionals, who want to capture once-in-a-lifetime memories, rare and beautiful game sightings, emotive landscapes or those special often-overlooked details that the bush provides in abundance. Perfectly complementing the photographic offering at Jaci’s Lodges is the submerged Terrapin Hide. Accessible via an underwater tunnel, the popular hide is open 24/7 to all guests. For your convenience, our photographic equipment is also available to hire. The Terrapin Hide is located in the middle of a waterhole, with easy access from Jaci’s Tree Lodge and within walking distance of Jaci’s Safari Lodge. The hide, which is accessed via a submerged tunnel and features a water-level viewing window, has established Jaci’s Lodges as a premium photographic safari destination. The low angle gives photographers an unparalleled opportunity to capture eye-level images of the plethora of animal life that visits the waterhole daily. Its west-facing orientation guarantees soft morning light and warm backlit silhouettes in the late afternoon. From the safety and unique vantage point of the hide, you might even get lucky and capture an elusive leopard, swimming elephants or African wild dogs. The hide is accessible 24 hours a day, seven days a week. Fully equipped with red LED interior lights, spotlights and a radio, this unique vantage point is enjoyed by not only photographers but all lodge guests. Conservation safaris at Jaci’s Lodges are designed to help everyday bush lovers contribute to on-the-ground wildlife conservation efforts taking place in the greater Madikwe Game Reserve. This initiative includes exhilarating involvement in wildlife safeguarding efforts within the reserve, such as notching and microchipping rhino; collaring elephants; and collecting genetic material to help record, track and protect Africa’s endangered wildlife, branding lions and gathering information for North West Parks Board field rangers to help effectively manage Madikwe’s core species of lion and rhino and African wild dog relocation. A wildlife veterinarian with specific training in immobilising wild animals, and with knowledge of their habitat, stress levels and other factors that may affect the outcome of darting procedures. A helicopter pilot skilled in low-level flying, who enables the vet a clear and steady shot. Field rangers who assist the team in doing the job quickly and efficiently, helping gather essential data and recording the details of each animal, contributing to the successful outcome of a conservation safari. We recommend a reasonable level of fitness, as walks vary between 5km and10km over three to four hours. The guide will match the pace of the slowest person in the group, so there’s no need to worry about having to keep up. No guests under the age of 16 years are allowed on walking safaris. Opt for neutral-coloured clothing, and shorts in summer and long trousers in winter. Wear comfortable, closed walking boots and socks, and a wide-brimmed hat. Try to carry as little as possible – stick to a small daypack containing your camera, binoculars and notebook. Your guide will carry a first-aid kit, water, a radio for emergencies and toilet paper. Madikwe Game Reserve offers an extraordinary setting for romantic wedding ceremonies with a difference, surrounded by Mother Nature, with the setting African sun as your witness. Joined by a gathering of close family and cherished friends, brides- and grooms-to-be are invited to celebrate their big day at Jaci’s Lodges. The special-events crew at Jaci’s Lodges will do their very best to make sure that your wild wedding is unforgettable. Whether you want to exchange (or renew) marriage vows, celebrate your anniversary, or host an engagement party, Jaci’s Lodges’ dedicated events staff will ensure that your special occasion runs smoothly. An ordanined Minister for the ceremony, including preparation and processing of all legal documents. A wedding ceremony at a location of your choice in the lodge or in the bush. A single layer wedding cake with topping of your choice. Local Tswana dancers to perform at the ceremony. Professional photographer for 2 to 3 hours & a CD with all your wedding photos. Professional hairdresser and make-up artists are available on request and are quoted separately. The spacious open-plan main building at Jaci's Tree Lodge includes a magnificent bar and lounge area separate from the dining area by a 4 sided open fireplace. Enjoy sundowners whilst on safari or at the hide overlooking the waterhole, alternatively listen to the sounds of the bush, or curl up with a good book by the fireplace or in the breakaway lounge. 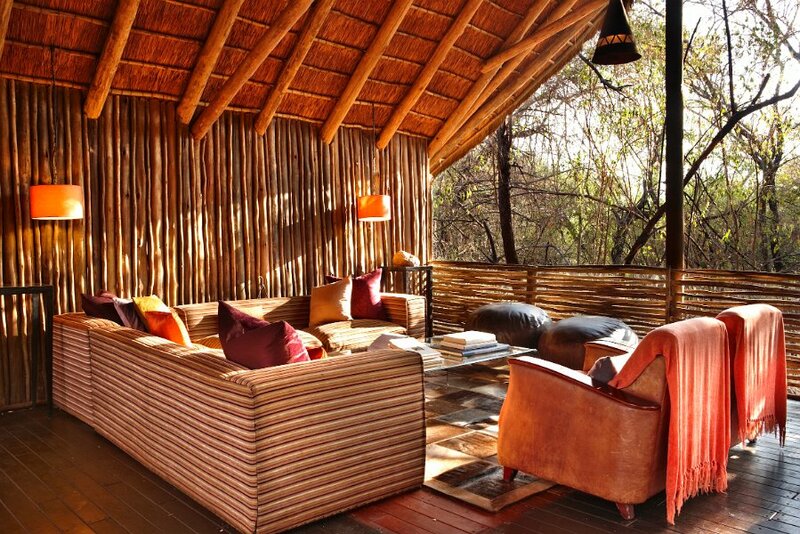 The interiors of Jaci's Tree Lodge proudly showcases the vibrant colors and unique crafts found in Southern Africa. 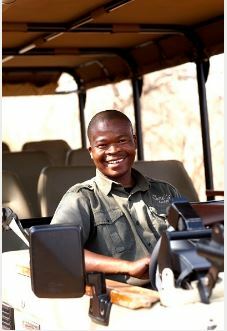 Jaci has created a truly African lodge, enhanced by a superior personal service and a very intimate safari experience. Expect outstanding meals from our open plan kitchen, bountiful cosmopolitan food! Enjoy outdoor dining on deck above the forest floor, enjoy the night symphony and the vibrant stars above! Safari game drives take place when the likelihood of sightings is at its highest early morning and late afternoon. Winters are dry and evening temperatures may drop to 0°C, while the wet summers are characterized by daily highs of up to 38°C. Game drives take into account these shifts in temperature, to ensure that guests are in no discomfort while out on a drive. The morning drive leaves after a light breakfast at first light, while the later drive usually departs around 15h00 to 15h30, depending on the season. Each drive lasts for three-and-a-half hours on average, but if a spectacular or unusual sighting is made, it could last longer. The 75 000 hectare Malaria-free Madikwe Game Reserve lies in the extreme north-west corner of South Africa’s North West province. Whether you fly directly to Jaci’s Lodges on one of the daily scheduled flights from Johannesburg to Madikwe or decide to do a self-drive, Jaci’s Lodges is easily accessible by both road and air. Daily flights are available on Federal Airways. We can arrange a private road transfer, a charter flight upon request at additional costs. ***NOTE*** Due to sporadic & unforeseen road closures, we recommend self drive guests & road travelers confirm their intended driving route on their day of arrival & check local road conditions before their departure / arrival. As of June 2018, there are currently roadworks from Dwarsberg towards Madikwe for approximately 10kms. We expect these to be complete by the end of 2019. It is approximately a 3.5-hour drive to the lodge. We advise that you refuel at Sun Village, as there is no fuel available inside the reserve. Directly after leaving the airport, look out for the sign saying R21 PRETORIA / KEMPTON PARK. The sign will be on your left with the turn-off very soon after leaving the Airport, so keep a sharp lookout. Once on the N4, continue in the Rustenburg direction & take EXIT 225, which is the R556 / SUN CITY / MAJAKANENG off- ramp. Turn right at the top of the off ramp & continue straight to SUN CITY. Sun City is approximately 73km from this off-ramp. It is advisable to fill up with fuel at the Sun Village, just after the Sun City entrance on the right. After passing Sun City and the Sun Village on the right, continue straight until you reach a four-way junction. Follow the R565 road for approximately 39.4km & turn left at KAYAKULU. Continue straight along the D548 road for 24.8km until you reach a T-JUNCTION. Please note: This T-Junction is not marked & there are no warning signs that you are approaching it. 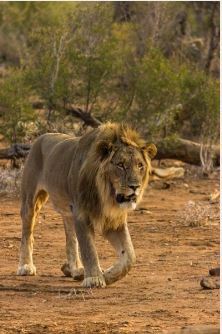 Pass through MOLATEDI VILLAGE, over the MARICO RIVER & straight to the MOLATEDI GATE entrance into MADIKWE GAME RESERVE. From here the friendly gate staff can give you directions, or just follow the signs to JACI’S LODGES. Follow the road for approximately 8km, you will need to turn left at the sign saying BAPONG. After passing through MABIESKRAAL, approximately 45km, you will come to a 4 way stop. Turn right to DERDEPOORT. This tar / sealed road continues for about 25km & then becomes gravel / dirt. There are brown Jaci’s Safari Lodge / Jaci’s Tree Lodge & Madikwe Game Reserve signs at various points along the way. A GPS will not bring you directly to Jaci’s Lodges if utilised from ORT / JHB / Pretoria or Sun City. Please ignore all signs saying Madikwe Hospital or Madikwe Village along the Mabeskraal Road. Please advise the lodge of your estimated time of arrival & check the afternoon game drive schedules to ensure you will be on time. Please drive carefully & be aware of village pedestrians, children & animals. Gaborone-Tlokweng: Take the road from the city centre to the Tlokweng border post. Once customs and immigration formalities have been completed, continue in the direction of Zeerust. After approximately 10km you will see the Abjaterskop gate entrance into Madikwe. Gaborone-Sikwane: Take the Francistown road. Look out for the road to Odie on the right and continue through Odie (this road starts as tar and becomes gravel) to a T- junction where you turn right. Once customs and immigration formalities have been completed at Sikwane, continue in the direction of Derdepoort. You will pass the Derdepoort General Dealer on the left, continue to a four-way stop and go straight to the Derdepoort gate entrance to the Madikwe Game Reserve. Private charters and transfers via helicopter arranged on request. Everything in Africa bites, but the safari bug is worst of all.’ Brian Jackman, wildlife writer. To experience a truly authentic African safari in the splendid Madikwe Game Reserve is truly a once-in-a-lifetime adventure guaranteed to be forever etched in your memory. On a Jaci’s Lodges safari, you can look forward to an epic experience including the possibility of seeing the Big 5 (lion, leopard, buffalo, elephant and rhino), as well as cheetah, African wild dog, hyena, giraffe and hippo – all sightings for which Madikwe is famous. Your expert field guides will always do their utmost to ensure that you enjoy an incredible bush safari adventure on our twice-daily safari drives. 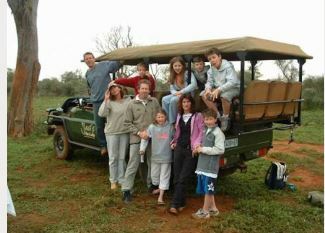 Over the years, our highly qualified guides have accumulated a wonderful repertoire of anecdotes and interesting facts on local wildlife, geology, history and geography, and they look forward to sharing these tales of the wild with you, making your African safari game drive a fun and informative experience. Should your guides see fit, they may venture off-road onto bush trails and into natural terrain to track animals. Expect to hear languages you may not understand: Jaci’s field guides will communicate sightings and recent kills via a two-way radio, using Setswana and vernacular code words. To ensure a private safari experience, only three safari vehicles at a time are allowed at each sighting. Our guides make stops on the morning drive for hot chocolate, coffee or tea and home-baked rusks, and in the late afternoon for sundowners and snacks while taking in an unforgettable African sunset. Be sure to follow our field guide blog for all the up-to-date happenings at the lodge, fantastic sightings and photography. Wakeup call: You will be woken by a knock on your door. Please feel free to make a cup of coffee/tea in your room, or enjoy tea, coffee and cereal at the Main Lodge before setting off on the morning drive. Departure: The morning drive leaves from the Main Lodge and includes a stop along the way for exceptionally good coffee and freshly baked rusks. Brunch: Enjoy a delicious continental or full-English breakfast selection, with additional lunch dishes and refreshments, on your return from the morning drive. High tea: Refreshing homemade drinks and an assortment of savouries and pastries are served before you depart for your afternoon drive. Departure: The afternoon drive also leaves from the Main Lodge and includes a stop for your choice of sundowner as well as stargazing after sunset. Dinner: On returning from the drive, guests have time to freshen up before pre-dinner drinks at the Main Lodge bar, before being treated to a variety of South African-inspired, fire-cooked dishes, which we serve under the stars around the campfire as often as possible. Jaci’s Lodges’ photographic offering gives our guests the opportunity to learn about photography and capture those iconic safari images without having to invest in their own kit, under the guidance of our resident photographic expert, Andrew Aveley. The Terrapin Hide is a submerged photographic hide with a water-level viewing window in the Jaci’s Lodges waterhole. Our walking safaris teach guests to walk in the wild with senses finely tuned to every sound and smell. Say ’I do’ in, the gorgeous African bush, surrounded by your true love and closest friends – weddings at Jaci’s Lodges is a truly magical experience. Winters are generally sunny and dry, with temperatures varying from 0 to 24ºC. Summers are generally wet, with spectacular thunderstorms and temperatures varying from 12 to 38ºC. Expect sunny days for most of the year. We highly recommend a minimum of 3 nights stay at Jaci’s Lodges in order to get the full benefit of our spectacular South African Safari experience & hospitality! 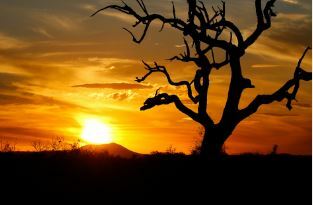 Walking Safaris: With our walking-trails-qualified guides you can enjoy a 3 to 4 hour walk through the Madikwe bushveld. We recommend a reasonable level of fitness as walks could vary between 5km and 10km. Subject to a walking guide being available. We have Eskom power and back-up generators for emergencies. Jaci’s Lodges now has filtered water on tap. This water is available to our guests at no charge.